“Bhel puri” can be described best as Indian street chaat which wakens your taste buds with an explosion of colors, textures and flavors. 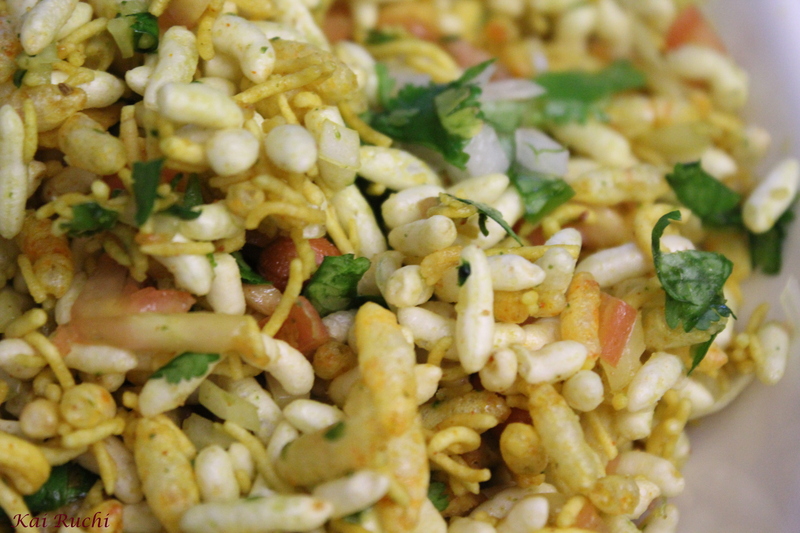 Its mainly made with puffed rice, fried chickpea noodles (sev), vegetables, hot and sweet chutneys and not to miss cilantro and raw mango. Blend all the ingredients together with 1 or 2 tbsp of water. The mixture should be thick. Bring this mixture to boil with 1/4 cup of water. Boil it for 5-10 minutes until the mixture becomes thick (consistency like tomato ketchup). 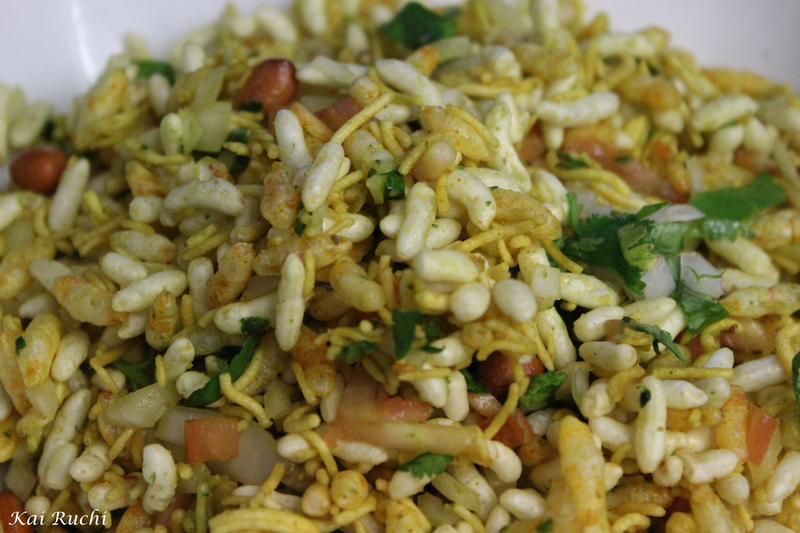 Mix puffed rice, bhel mix, peanuts well. 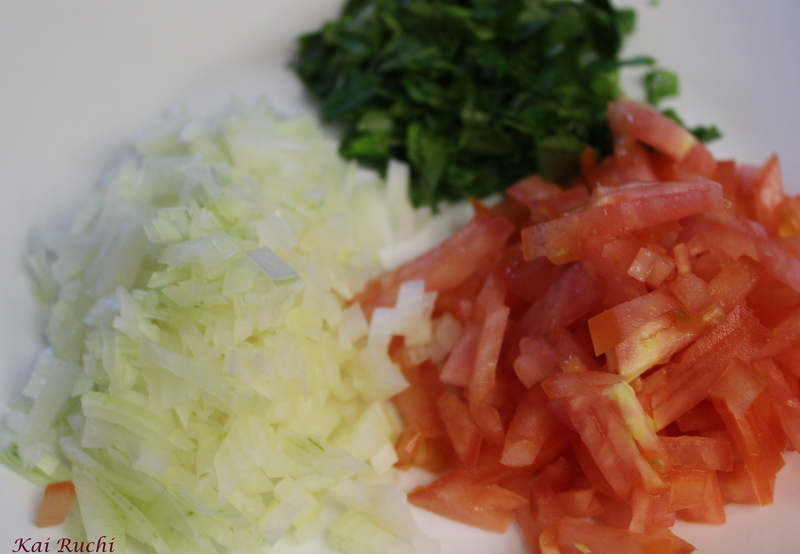 Add rest of the ingredients quickly, Sprinkle sev at the end and serve immediately. One of my absolute favourite street foods! Love bhel puri, you have reminded me that I need to make some soon. Yours look so good. Thank you for stopping by and leaving a lovely comment on my site. u actually made all dis ?! 😀 amazing you are !! Of course sweety! Come to US, shall prepare everything for you. This is new to me. What an unusual snack! Have a great week! I’ve never ever had this and obviously I’m missing out…looks amazing! I love dishes with varying textures and flavors! This one is new to me, but it looks delish! Just love it! This is my favorite chaat. Nice presentation Deepti. Nange churumuri nenpaithu. Slurrp! very yumm!